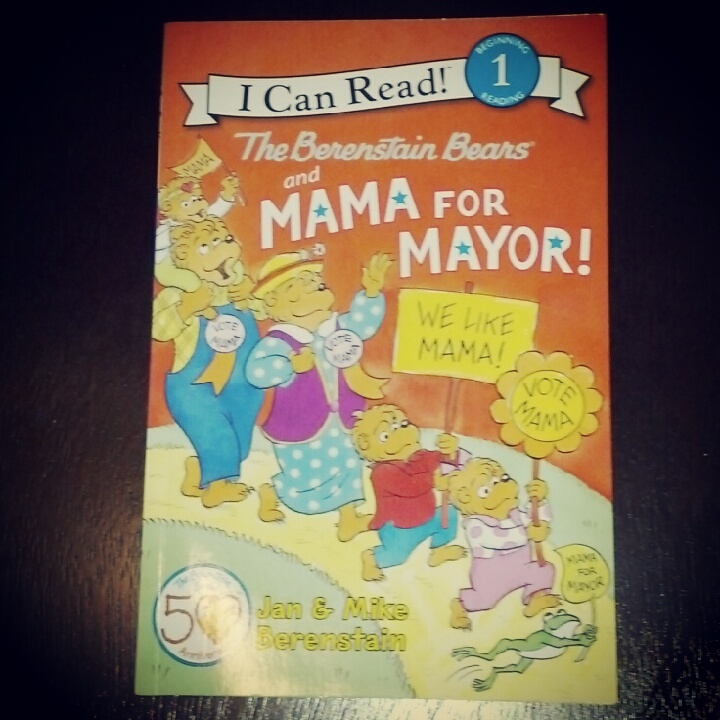 Blah I had some great posts last week that I forgot to link to, and this week I failed to read much other than Berenstain Bears. I would, however, like to congratulate myself for demonstrating such strong leadership skills that my child selected this out of all the BB titles at Target. When I do eventually run for Mayor, I will clearly need to stop blogging about my bunions and wenis and burn this blog to the ground. Speaking of burning, here’s my favorite mindless entertainment of late for anyone who hasn’t already seen it: Suri’s Burn Book. I swear I don’t normally like to laugh at children. But this is my one exception. Holy crap, that Suri’s Burn Book is hilarious. Hilarious! Some of the Berenstein Bears piss me off, and some are just lovely. But Suri’s Burn Book always makes me chuckle.